It seems that 2016 has been the Year of the Monkey in more ways than one. In both the United States and the United Kingdom the use of primates in research has been under increased scrutiny this year. From the US Congressional mandate that the National Institutes of Health (NIH) review its use of nonhuman primates for research, to last week’s publication of anopen letter in the UK Independent signed by 21 experts including Sir David Attenborough and Dr. Jane Goodall raising concerns about the use of monkeys in brain experiments. As one might expect all this attention seems to have put the primate research industry on the defensive. Last week, the NIH essentially facilitated a circling of the wagons at what I hoped would be an open and critical discussion on the use of non-human primates in research as requested by Congress. In a follow up letter sent to the NIH in January by five members of Congress [Roybal-Allard, Sam Farr (D-CA) Dina Titus (D-NV), Eliot Engel (D-NY), and Brendan Boyle (D-PA)] it was reiterated that the review should be, “as independent as possible, so that the most difficult ethical questions with regards to the use of all non-human primates in a wide range of experiments can be honestly asked and answered.” Unfortunately the workshop held by the NIH last week, largely failed to meet this stipulation. As I monitored this workshop online, I was struck that the meeting seemed to be more of a cheerleading session for primate experiments and, at times, a macabre audition for researchers to make a case for their experiments to receive continued funding. The few “outside experts” who were invited and not financially tied to primate research, were Dr. Tom Beauchamp, an ethicist at Georgetown University and Dr. Jeffrey Kahn a bioethicist at Johns Hopkins University but they were not invited to give presentations and had to vie for time in the discussion sessions where they were frequently shut down. This was especially shocking since Dr. Kahn had such relevant expertise, having chaired the 2011 review committee on the use of Chimpanzees in Biomedical and Behavioral Research, which led to the decision by the NIH to end support for invasive chimpanzee research. The lack of balance was, I believe, no accident. When the workshop was first announced I contacted the workshop organizers to encourage a robust review and specifically suggested our own Dr. Jarrod Bailey who has published multiple peer-reviewed papers on the use of non-human primates in biomedical research and who participated in the aforementioned review of chimpanzees. Despite his impressive resume he, and many other possible candidates, were not invited to participate in the workshop. 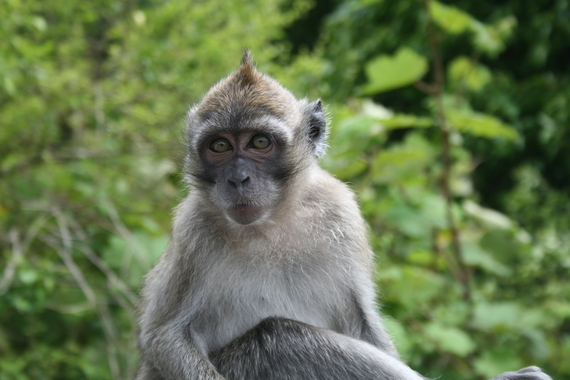 Across the pond, Dr. Gluck joined Dr. Jane Goodall, Sir David Attenborough and 18 other scientists, primatologists and animal welfare experts in signing an open letter,organized by Cruelty Free International, to bodies in the UK and EU responsible for funding and licensing controversial brain experiments on monkeys. Of particular concern is neuroscience research involving monkeys being subjected to invasive brain surgery, water deprivation and prolonged restraint. A recent review of the claims of the human relevance of data made by researchers, who use monkeys in these kinds of experiments, were found to be overstated and the availability and use of ethical studies involving humans were of more value to medical progress. In response to the letter, a group of UK primate researchers have gone on the defensive, attacking the credibility of those scientists who disagree with them. Last week’s lopsided NIH workshop and the hostile response to the open letter seem to suggest that those directly involved with primate research aren’t quite ready for an open, honest, discussion about the ethics of non-human primate research and the inevitable soul searching that will come with it. But whether they are ready or not, the conversation with the public and policy makers has begun.